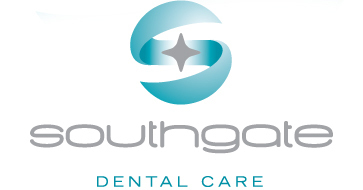 Southgate Dental Care uses the very latest technology available to dentists today in order to make your experience as comfortable as possible – and provide you with the most effective treatment for your needs. 1.The very latest in patient entertainment. 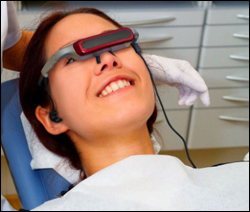 Our specially designed video glasses allow you to watch a video of your choice whilst having treatment. This transforms many patients’ experience of dental treatment – particularly our more nervous ones. 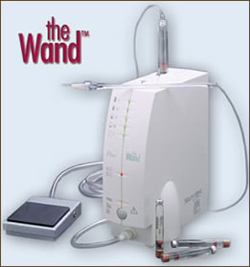 It has been remarkable in demonstrating that the injection is still what causes most phobia and when this is painless, the rest of the treatment proceeds in a very relaxed fashion. You can be helped to feel relaxed by ‘relative analgesia’ sometimes known as inhalation sedation. This means breathing in a mixture of nitrous oxide and oxygen (‘laughing gas’) which quickly leads to a pleasant, relaxed feeling. You remain conscious all the time, although you may be a little drowsy, and any treatment given causes you no discomfort. You breathe in the mixture through a nosepiece, which is very comfortable. You can’t overdose on the gas, as the mixture quickly leaves the body if you breathe in one or two breaths of ordinary air. There are no after-effects either, and you can drive a car after about 15 minutes.